Add class and style to your home with Bahama shutters from Shutter Boutique. 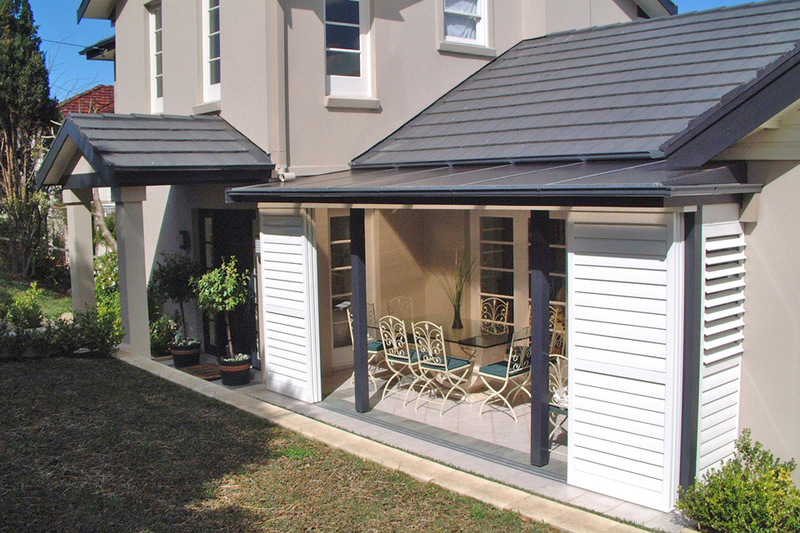 Giving old-world character to any house, external shutters are the perfect addition to homes of taste and distinction. 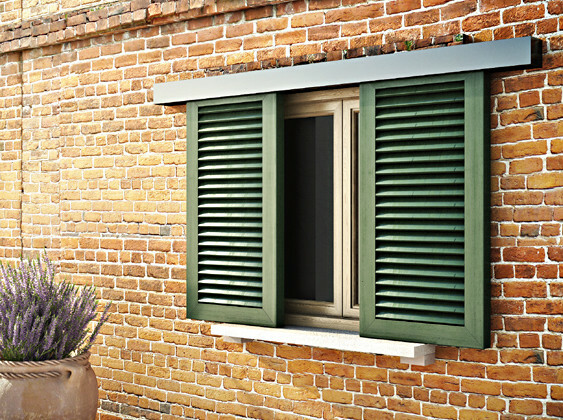 External shutters are found on the homes of the rich and famous, in cul-de-sacs, terraces and farmhouses. Often used to emphasise a home’s rich brick work or cladding, external shutters are also used to bring features to flat frontage. Shutter Boutique is proud to provide Bahama shutters from Mid-America and Atlantic Premium, quality external shutter manufacturers. Decorative Bahama shutters from Mid-America deliver instant, low-maintenance curb appeal to home owners in the UK. 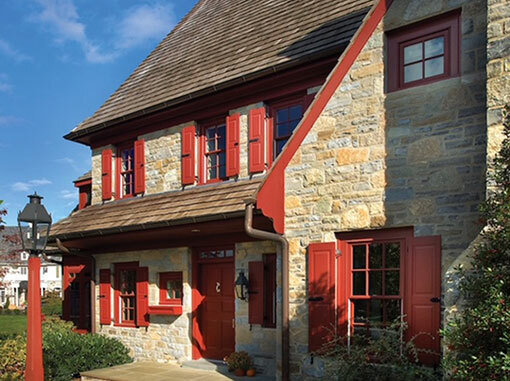 With many options available, Mid-America’s decorative shutters will add the finishing touch to the exterior of your home. Installation of these affordable Bahama shutters is quick and easy; your home will be looking stylish in no time. And with lifetime guarantees, your storm proof Bahama shutters will add value to your home for years to come. Atlantic Premium Bahama shutters are operable, providing style and function to discerning home owners. Historically used to control light and heat during summer months, and to protect from inclement weather during winter months, external Bahama shutters from Premium Atlantic retain this functionality. This puts you in full control of the temperature and security of your home all year round. Popular with coastal homes, the hand-built Atlantic Premium range of Bahama shutters is fully storm-proof. The experienced craftsmen at Shutter Boutique are on hand to help you select the right shutter solution for your home. Our team has more than 40 years experience between them so rest assured you’ll be receiving the best advice in the industry. Our premium external shutters provide a lifetime of classic charm and style. Whether you choose a louvre shutter, raised panel shutter, combination louvre and raised panel shutter, or a board and batten panel shutter, your home will shine with that beautifying touch only external shutters can offer. With lifetime guarantees available on all our external shutters, your home will look good and be protecting for years to come. A wide range of colours is available with both Mid-America and Atlantic Premium shutters. Your external shutters can be painted or stained to match existing fascia, doors, windows and other external features. Or you might like to stand out with a bold contrasting colour such as sumptuous green against white, or a deep, rich blue. Indeed, the flexibility in colour and style allows you to select external shutters to suit your own style and personality, be it bold and adventurous, subtle and laid back or classically traditional. External shutters from Shutter Boutique can be tailored to your every need. 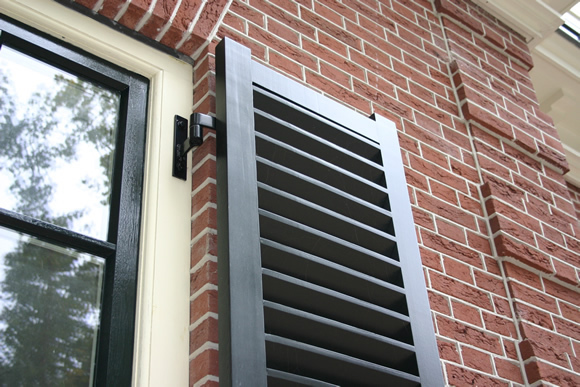 External shutters from Shutter Boutique combine of style, durability and craftsmanship. Made-to-order for your windows, Shutter Boutique brings together time-honoured design with modern manufacturing techniques and hard-wearing, premium materials. Browse our collection of external shutters and talk to one of our experienced craftsman today. Our team is on standby to help you make the right choice for your home. While considering style and colour is foremost, size must not be overlooked – Shutter Boutique will recommend an external shutter size that will not dwarf your windows or crowd your frontage. All our suggested solutions will also be in keeping with the age of your home and the style of the neighbourhood. For more information on external shutters and to talk to a member of the Shutter Boutique team, call 0203 9110 067 today. We’ll listen carefully to your requirements, taking into account your lifestyle and budget. Using our in-depth knowledge of market trends and industry developments, Shutter Boutique will impart expert advice, allowing you to make an informed decision and select the right external shutters for your home.